Happy Monday! Hope you had a great weekend. My weekend consisted of getting everything ready and set up for Aubriella to start school today. I never realized how much thought and planning goes into starting school. Plus starting traditions and making sure everything runs smoothly. Hopefully all my planning and preparing pays off and everything goes great. Last week I had to drop all of Aubriella's school supplies off to her teacher. 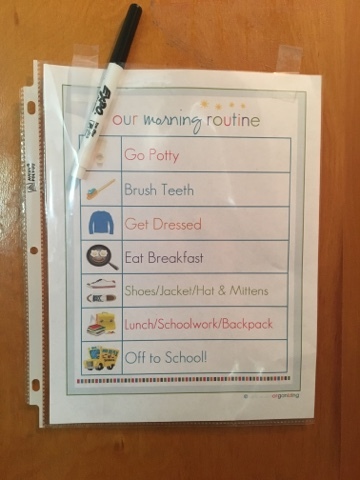 I loved this since it meant Ella got to meet her teacher before the first day of school and we wouldn't be carrying two grocery bags full of stuff into school, plus her book bag and lunch box on the first day. 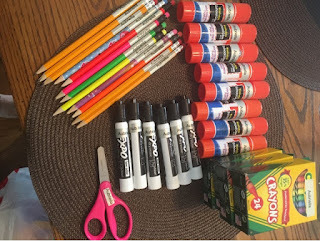 On Ella's school supply list it said to have everything labeled with her name. I invested in a label maker to make my life a whole lot easier. When I named Aubriella, I didn't think of having to write her name 100x and in small weird spaced like on the side of a pencil. 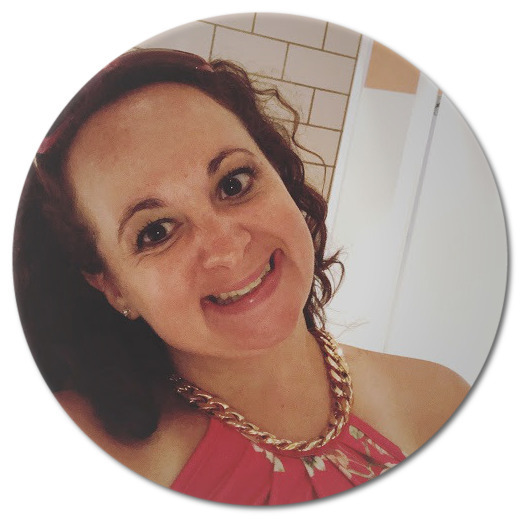 I had a few girlfriends post online about there Back to School Teacher gifts. I loved the idea. (I know I am that mom) Some were pretty elaborate. I went kind of simple. 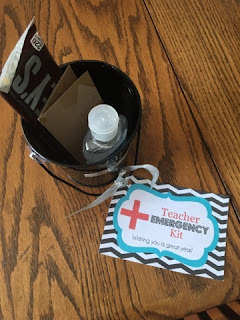 I found the Teacher Emergency Kit label on Pinterest. I got a cute little black bucket from Walmart and used my label maker and put Ella's teachers name on the bucket. In the bucket I have a Hershey's chocolate bar, small hand sanitizer, red pens (not pictures), and a Starbucks gift card. Growing up I use to love getting lunch box notes. Even as an adult when I still lived at home my dad would randomly put a note in my lunch. 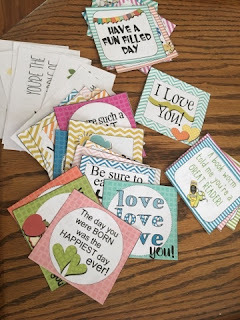 It is just a little something to make you feel special and loved. 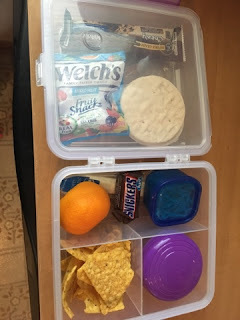 I found all these cute simple lunch box notes on Pinterest. Printed them off, cut them up, and have notes for the next 40 days of school. 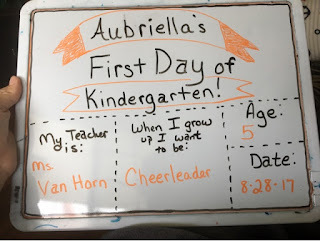 I started this when Aubriella started preschool 2 years ago. I love seeing how she changes from pictures and what she wants to be. I also do a before school year interview and after school year interview. One of my girlfriends made her and her daughter Paracord bracelets. 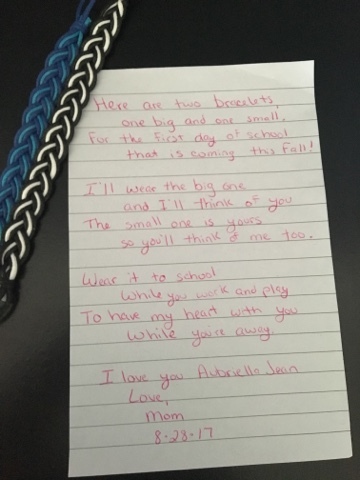 Her daughter deals with anixiety of not wanting to go to school. Even though I don't have the issue with Ella not wanting to go to school (yet and I hope never), we deal with Ella being shy and not wanting to make friends. I had originally got these bracelets to give to her before a cheerleading practice, but she got sick before one, and another one was cancelled so we didn't get the chance to do them. I gave them to her this morning, with a note, but also explained that they have magic powers to help her be BRAVE and make friends. 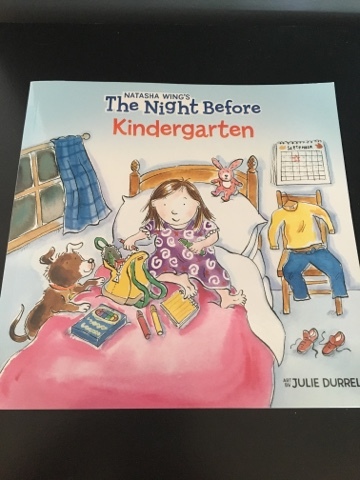 I bought "The Night Before Kindergarten" at the beginning of the summer. I forgot I had it until I was getting school stuff ready yesterday. Unfortunately since Ella was with her father this weekend (I pick her up at 730am on Monday mornings) I didn't get to read it to her before she went to bed. I am however going to read it to her during breakfast today. School lunch, where do I ever start. Ella is not a fan of sandwiches, she likes hot foods but doesn't want to take those to school, her favorite lunchable is the pizza kind but it is a whole big ordeal with a spoon, scissors, and a plate. 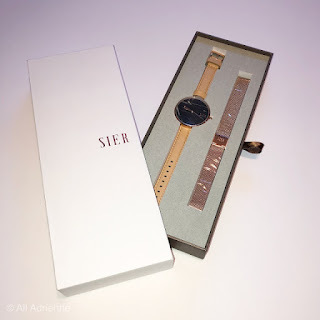 I modified and tried to make this as easy as possible for her, plus gave her lots of extras. Ella gets lunch and a snack at school. She can bring home whatever she doesn't eat. (in her lunch box is a spoon, the purple container has her pizza sauce, the blue container has her cheese) This plastic container fits perfectly in her lunchbox with a ice pack and drink. Last night I got everything ready and laid out so there was less stress and rushing on an already busy morning. 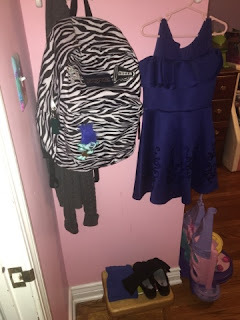 The Descendants dress that she picked out to wear with her black dress shoes, shorts to wear under her dress, black socks (her choice), and her book bag packed and ready to go. 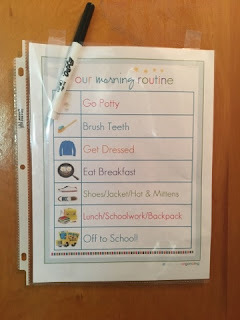 I found this cute morning routine on Pinterest (i have an obsession). It works great for everything she needs to do each morning. We are going to give it a try for a few days and may end up coming up with our own. Ella said it doesn't say I have to brush my hair. Praying everything goes smoothly, no big hiccups, and no tears. I know it will be a rushed morning since I am that mom that needs pictures, a big breakfast, and to be at the school early.